SNAFU! : US Army Stryker Dragoons hacked? Ok. "Tactical Cyber" appears to be a thing...but how do we counter it? US Army Stryker Dragoons hacked? Ok. "Tactical Cyber" appears to be a thing...but how do we counter it? 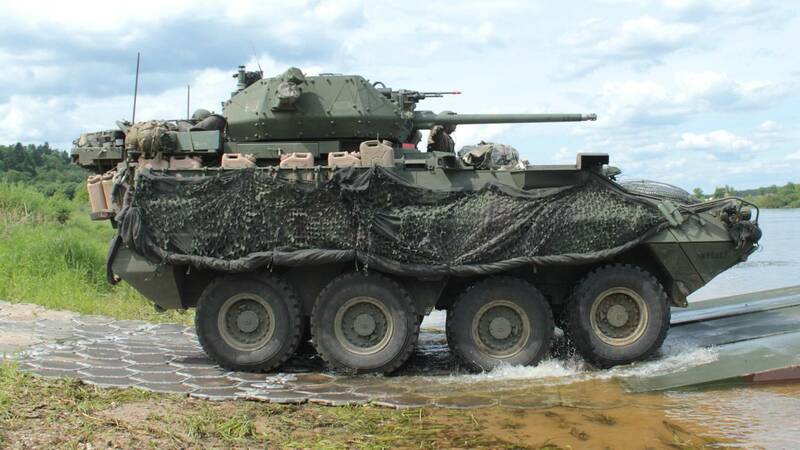 It’s been more than a year since the first up-gunned Stryker Dragoon armored vehicles arrived in Europe, giving elements of the U.S. Army’s forward-deployed 2nd Cavalry Regiment a much-needed boost in firepower against potential threats. Since then, unfortunately, unspecified “adversaries” – a term the U.S. military has used in the past to describe the Russians, but that could also mean surrogate opponents during an exercise – have also been able to disrupt certain systems on the vehicles with a cyber attack on at least one occasion. Tactical Cyber appears to be a thing. But what is the right approach to this thing? Adding a "Cyber" Marine to every Squad seems like a recipe for mess. Is one guy running around with a laptop gonna be able to do what's necessary to keep what the article is talking about from happening? Is the Marine Corps looking at this in a way that I'm unaware of? My point is this. Russians go heavy and hard. They have electronic warfare vehicles out blasting trons all over the place. Unless we have assets that will do the same then I don't think that the solution rests with the ground forces (well maybe the Army but I see no indication that they're trying to match Russian assets). That means we're back to relying on aviation to deliver the punch. I would think our limited supply of Growlers will be busy protecting the fleet. The Army has no such vehicles in service or projected. Our ships to my knowledge don't have an electronic warfare capability either (at least that can do what our adversaries can). The weird thing? I'm not sure we have our "cooperative engagement" net up and running but it seems like at least the Russians are already drinking the Army's milkshake. Even worse? If Army units are vulnerable then that means so are USMC units. Playtime is over. Past time to get to work. The next war will be wild and wooly and electronic/cyber warfare will play a bigger part than I imagined (and I imagined it would be huge...especially electronic warfare). Read the article, not once but at least twice. It's quite sobering.